This page is dedicated to the Dorough Lupus Foundation . The reason why I'm doing this is because I know what's it like to loose someone we love. I want to help and this is the only way I could find to do so... for now. 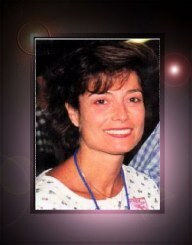 The pic you see is Caroline, Howie's sister, who passed away in September 1998. Since then Howie and his family, through the DLF, have been doing what they can to help those who can't afford treatment, as well as making donations for research to find a cure to this disease. This Angel is for you, Caroline, and your Family! You can also make the difference and help by making a donation... and while you're doing it, you can own this sweet little bear. So go ahead, clic on the bear to know how to make your donation. And every time you're thinking in sending flowers to someone, visit this web site and while your buying, you're helping the Foundation too! Now the DLF has some new great items, just click on one of the pics below and find ou they can be yours! Want one of these great bags? Just click on one of the pics and find out, and at the same time you can help the DLF or one of the other Boys Charities!